Hello everyone! Hope you are taking the time to enjoy your Sunday! I wanted to take a minute to announce and remind everyone that Amaretto Ranch University Graduation is fast approaching! 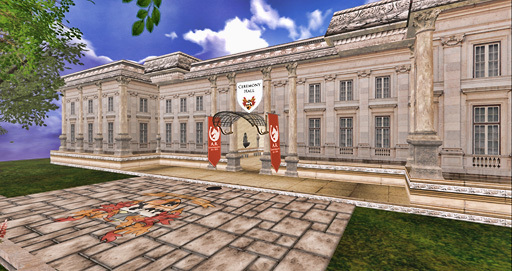 We will be holding our Graduation Ceremony on June 27th @ 1:00 PM SLT! Our biggest graduating class yet! Boy, do we have some surprises for our graduates! Their hard work and dedication will not go unnoticed!!! If you are on the Graduate list and did not receive your cap and gown please contact Avalon Crystal! Also keep an eye out in world for the in-world invitation that I am sending out to everyone! Please keep in mind that everyone is welcome to attend the ARU Graduation! Wtg graduates! Until next time this is Ava over and out! Happy Breeding my Amaretto Family!!! !